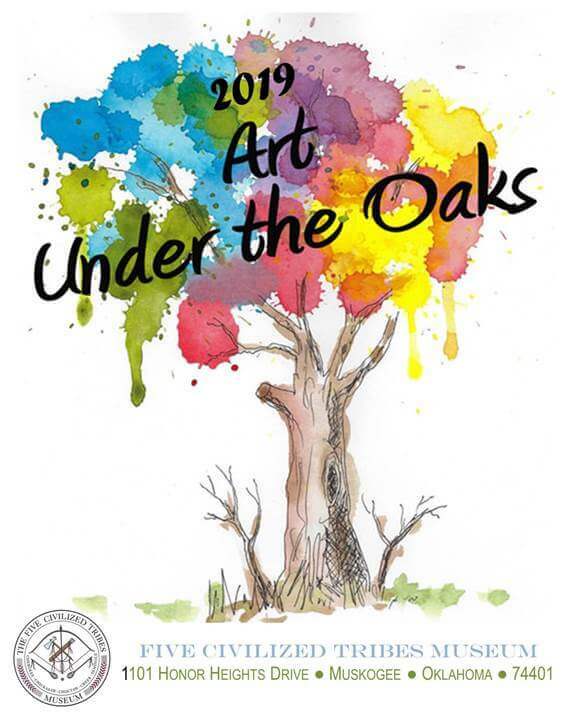 This month’s exhibition features the combined works of artists Bill Rabbit and Willard Stone, who were deemed “Master Artists” by The Five Civilized Tribes Museum. Oklahoma Cherokee Artist Bill Rabbit became a “Master Artist” in 1986 and three years later won the Indian Arts and Crafts Association’s 1989 Artist of the Year. Oklahoma artist Willard Stone became a “Master Artist” in 1973 and is well-known for his wood sculptures carved in an art deco style. Stone was inducted into the Oklahoma Hall of Fame in 1970. 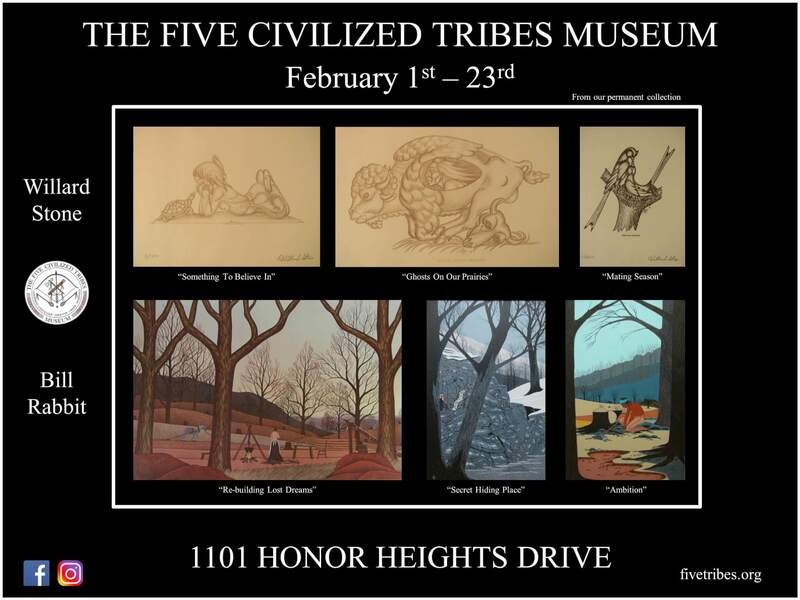 The works of these artists will be displayed from February 1st-23rd at The Five Civilized Tribes Museum. Bill Rabbit prints and “Willard Stone: Sculptor in Wood and Bronze” booklets are available for purchase in the gift shop.